Press Release (ePRNews.com) - HOUSTON - Jan 18, 2018 - Jeval Laboratories Ltd. is pleased to announce that the company is partnering with AsSeenOnTV.pro​ and Kevin Harrington from the original “Shark Tank” to promote their Jeval Medical Rosacea Cream. Starting this January and running through the first week of February, the company will have both 30-second and 60-second spots featuring Jeval Medical Rosacea Cream. This breakthrough health and skin care product was formulated by Dr. Jacob Varon, a practicing, board-certified, cosmetic plastic surgeon located in Houston, Texas. Dr. Varon formulated this medicated cream to minimize post-surgery redness. This is very similar to the redness caused by rosacea. Jeval Medical Rosacea Cream proved 99 percent effective in double-blind testing in reducing the visual signs of redness and restoring a supple, healthy skin appearance. 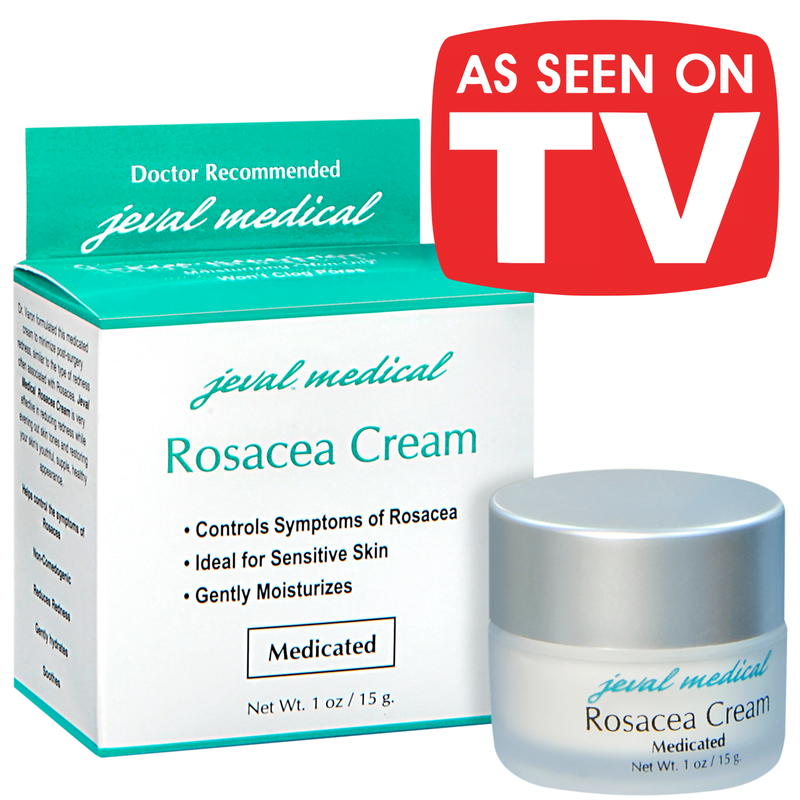 Jeval Medical Rosacea Cream soothes, is non-comedogenic and is ideal for sensitive skin. I’m excited to be partnering with Kevin Harrington and AsSeenOnTV.pro to be able to bring this breakthrough Rosacea Cream to a wider audience. My goal has always been to provide less-invasive and more affordable options that are made available to everyone suffering from these conditions. This newly formulated medicated cream accomplishes that. All of the products produced by Jeval Laboratories Ltd. are formulated by Dr. Jacob Varon and are made from formulations similar to those used on patients in his practice. For 25 years, Dr. Varon has treated patients for cosmetic and medical conditions. Many of them suffer from serious skin conditions such as rosacea, psoriasis, sun damage and foot problems due to diabetes. The company is so sure of Jeval Medical Rosacea Cream’s effectiveness in minimizing and controlling the symptoms of rosacea, they are offering a full money-back guarantee. For more information and to make a purchase, visit JevalMedical.com. Jeval Laboratories Ltd. produces products that are originated and formulated by Dr. Jacob Varon, a practicing, board-certified, cosmetic plastic surgeon. For more information, visit JevalMedical.com. Source : Jeval Laboratories Ltd.
P-6 Farms Celebrating the Opening of Its 7th Season!